← Dump All Your Stock In Chalkboards Now! Deserting and embarrassing their GOP House leadership, 26 Republicans–including several members of the Tea Party Caucus–bolted Tuesday night to join Democrats in a surprise rejection of a centerpiece of Bush-era powers to fight terrorism that curbed American civil liberties. The House Republican leaders had expected an easy victory in their efforts to reauthorize three expiring powers under the PATRIOT Act–among them, allowing ”roving wiretaps” and searches of people’s medical, banking, and library records. It is likely the GOP will succeed in a later vote, but Tuesday night’s rebuff sent a strong message. By a 277-148 margin, the bill fell just shy of the two-thirds majority needed to pass the House under suspension of the rules, representing somewhat of an embarrassment for House Republicans on a matter of national security. Republicans were accusing Democrats, many of whom had supported the extension of the provisions in the 111th Congress, of hypocrisy. Monday’s vote was proffered under a suspension of the rules, which requires a two-thirds majority. Other House GOP aides tell NRO that the extension will likely brought up again via “regular orders” in the coming weeks; this requires a simple majority, and they expect it to pass. The White House, one aide points out, will now be forced to work with Congress, especially with three provisions set to expire on February 28. The House GOP would like to extend the provisions until December 8; Senate Democrats and the White House would prefer extending the provisions through 2013, in order to take it off of the table for the election. With the clock ticking, Republicans believe they can set the stakes, regardless of how they stumbled on the initial vote. On Monday, an aide close to the process notes, many Democrats who are supportive of a one-year extension voted against it, in order to stand with those who would like to see the provisions extended through 2013. So while Republicans will be whipping hard, to be sure, Democrats, too, he predicts, will be having their own internal debate about a short-term extension. Roving Surveillance Authority: Roving wiretaps have been used routinely by domestic law enforcement in standard criminal cases since the mid-1980s. However, national security agents did not have this garden-variety investigative tool until the passage of the PATRIOT Act in 2001. Section 206 of the PATRIOT Act allows law enforcement, after approval from the FISA court, to track a suspect as he moves from cell phone to cell phone. The government must first prove that there is “probable cause” to believe that the target is a foreign power or an agent of a foreign power. It further requires continuous monitoring by the FISA court and substantial reporting requirements to that Court by the government. Business Record Orders: Domestic law enforcement, working with local prosecutors, routinely rely on business records through the course of their investigations, oftentimes through the use of a subpoena. However, national security agents did not have the same authority to acquire similar evidence prior to the passage of Section 215 of the PATRIOT Act. This provision allows law enforcement, with approval from the FISA court, to require disclosure of documents and other records from businesses and other institutions (third parties) without a suspect’s knowledge. The third-party recipients of 215 orders can even appeal any order to the FISA court. The Lone Wolf Provision: Section 6001 of the Intelligence Reform and Terrorism Prevention Act allows law enforcement to track non-U.S. citizens acting alone to commit acts of terrorism that are not connected to an organized terrorist group or other foreign power. While the FBI has confirmed that this section has never actually been used, it needs to be available if the situation arises where a lone individual may seek to do harm to the United States. At least 36 known terrorist plots have been foiled since 9/11. The United States continues to face a serious threat of terrorism. National security investigators continue to need the above authorities to track down terror leads and dismantle plots before the public is any danger. 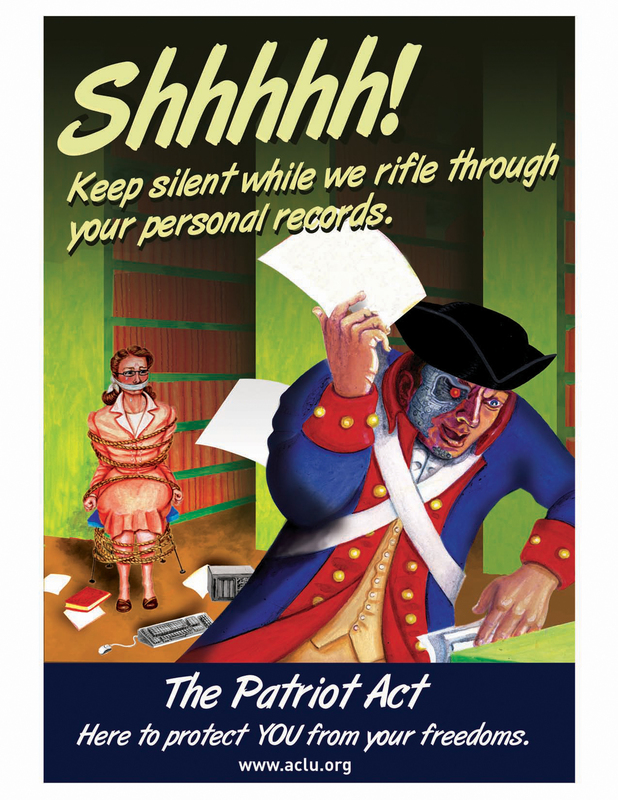 Opponents of these provisions have produced little evidence of any PATRIOT Act misuse. All of the provisions above are subject to routine oversight by both the FISA court and Congress, and no single provision of the PATRIOT Act has ever been found unconstitutional. Congress should not let the sunset provisions expire and should instead seek permanent authorization. So did the Tea Party movement beat reauthorization? Here’s a list of the 26 Republicans who voted no. In italics — the eight members who were elected in 2010 in the Tea Party wave. Many of the big Tea Party names, like Michele Bachmann, Kristi Noem, and Allen West, voted to pass the authorization. I break this out because there’ll be a temptation to say “the Tea Party and its isolationist elements beat the reauthorization,” and that’s not quite it. But what happened last night highlights the potential to subvert the two-party stranglehold on these issues — through a left-right alliance that opposes the Washington insiders who rule both parties. So confident was the House GOP leadership in commanding bipartisan support that they put the Patriot Act extension up for a vote using a fast-track procedure that prohibits debate and amendments and, in return, requires 2/3 approval. But 26 of the most conservative Republicans — including several of the newly elected “Tea Party” members — joined the majority of Democratic House members in voting against the extension, and it thus fell 7 votes short. These conservative members opposed extension on the ground that more time was needed to understand whether added safeguards and oversight are needed. The significance of this event shouldn’t be overstated. The proposed Patriot Act extension still commanded support from a significant majority of the House (277-148), and will easily pass once the GOP leadership brings up the bill for a vote again in a few weeks using the standard procedure that requires only majority approval. The vast majority of GOP members, including the leading Tea Party representatives, voted for it. The Senate will easily pass it. And the scope of the disagreement even among the Democrats opposing it is very narrow; even most of the “no” votes favor extending these provisions, albeit with the types of tepid safeguards proposed by Leahy. So in one sense, what happened last night — as is true for most political “victories” — was purely symbolic. The White House will get what it wants. But while it shouldn’t be overstated, there is a real significance here that also shouldn’t be overlooked. Rachel Maddow last night pointed out that there is a split on the Right — at least a rhetorical one — between what she called “authoritarian conservatives” and “libertarian conservatives.” At some point, the dogmatic emphasis on limited state power, not trusting the Federal Government, and individual liberties — all staples of right-wing political propaganda, especially Tea Party sloganeering — has to conflict with things like oversight-free federal domestic surveillance, limitless government detention powers, and impenetrable secrecy (to say nothing of exploiting state power to advance culture war aims). Not even our political culture can sustain contradictions as egregious as (a) reading reverently from the Constitution and venerating limits on federal power, and then (b) voting to vest the Federal Government with extraordinary powers of oversight-free surveillance aimed at the American people. Sadly, the revolt probably won’t last, as there are more than the 218 votes needed to pass reauthorization under normal procedures. What’s uncertain is whether the reauthorization will contain mild oversight provisions, and when the provisions will actually sunset. As Cato’s Julian Sanchez notes, there are two Democratic Senate versions that reauthorize these provisions for three years, but the Republican House version sunsets them until December 2011, while the Republican Senate proposal makes them permanent. Democratic Vermont Sen. Patrick Leahy’s version of the bill would reign in Section 215 orders and provide some key oversight over the use of the widely abused National Security Letters, but those modest reforms were too much for Sen. Dianne Feinstein (D-Calif.), so she introduced an alternate bill without them.